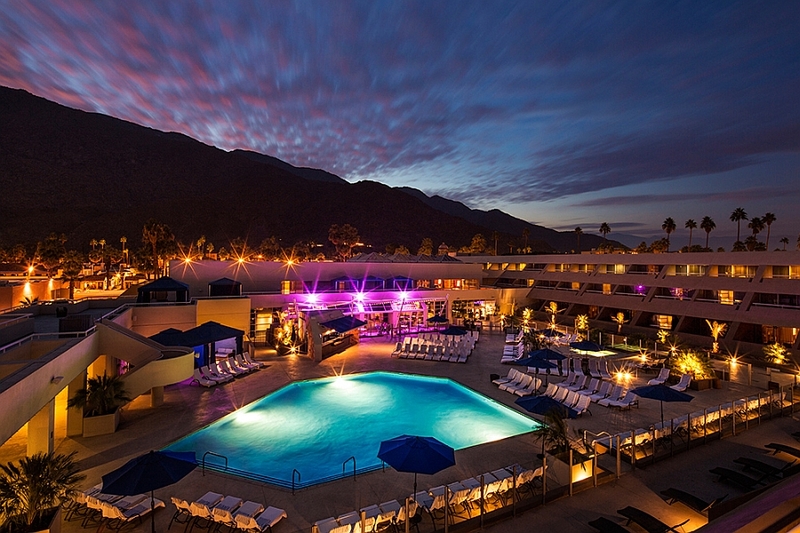 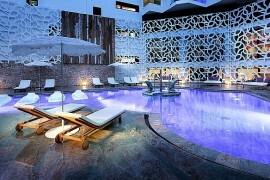 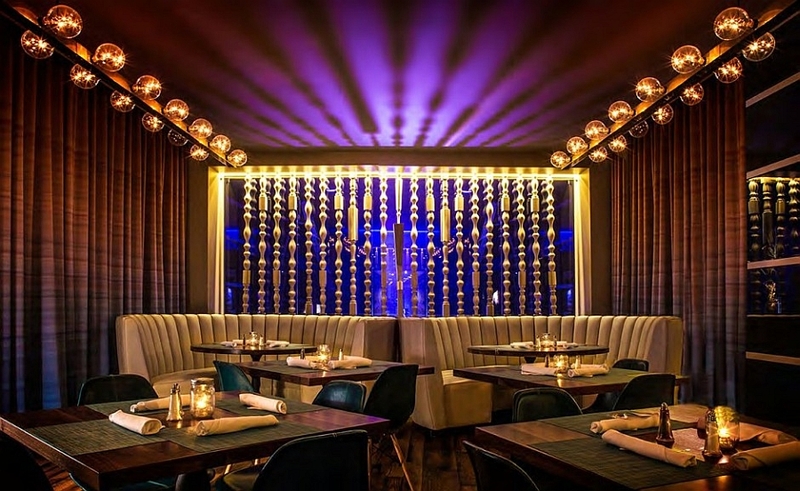 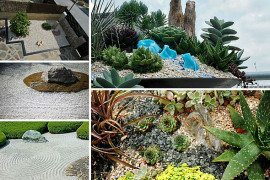 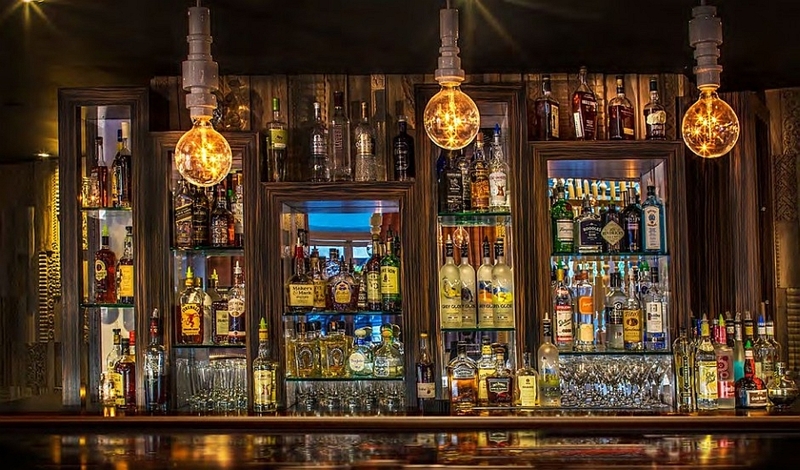 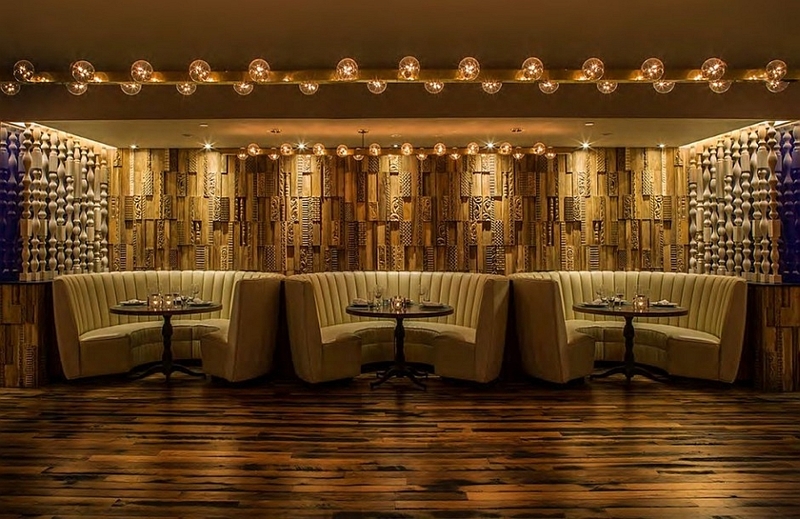 Looking for a fabulous hangout in Palm Springs where you can “Rock n’ Roll” all night long? 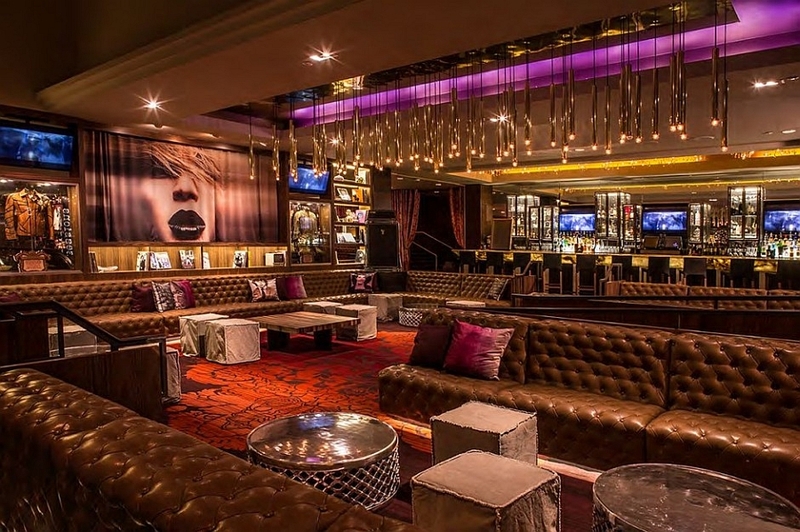 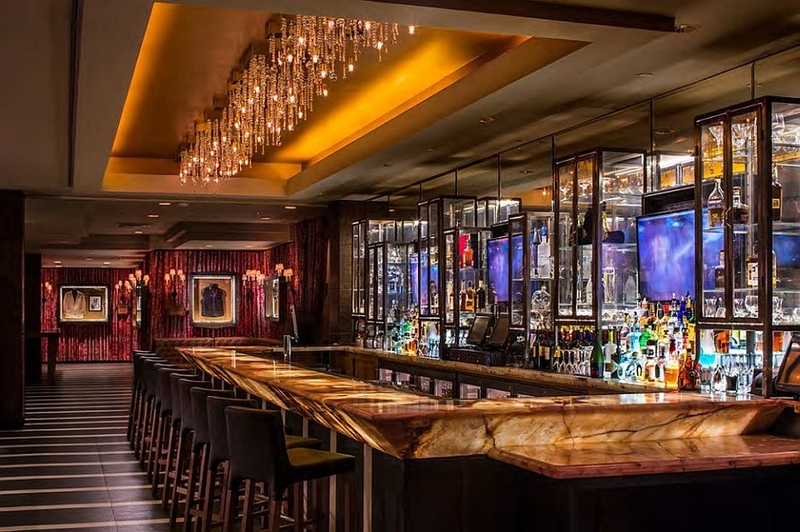 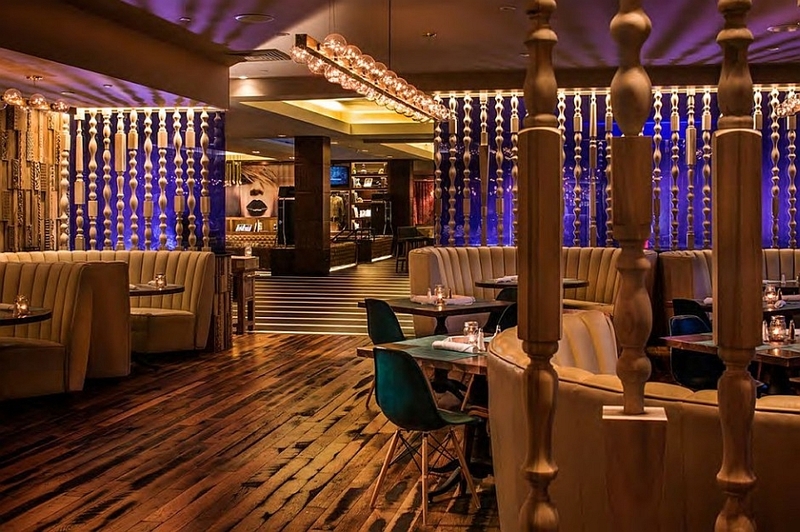 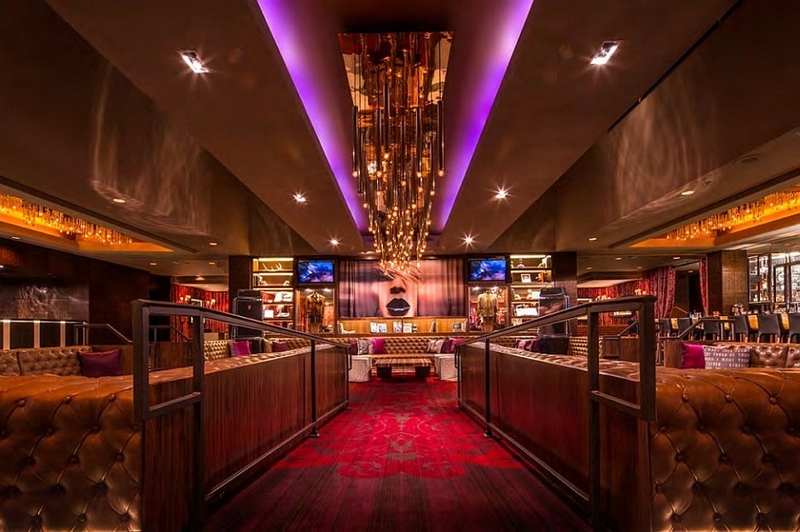 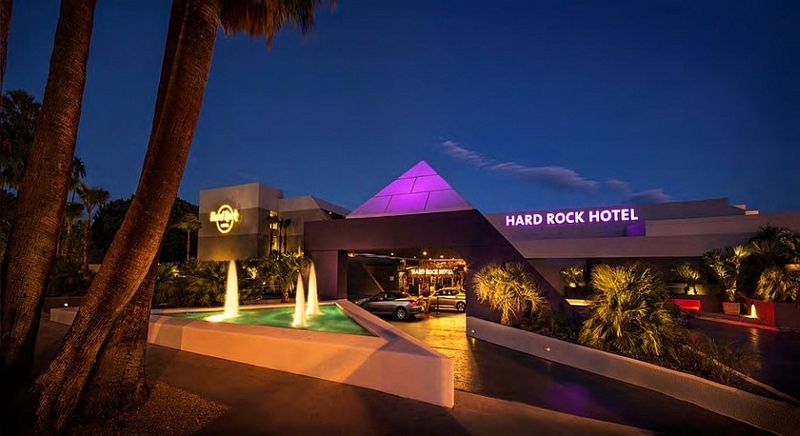 Designed to bring a hint of the Las Vegas night life along with a dash of glitz and the glamour, the Hard Rock Hotel in Palm Springs has acquired a whole new ambiance. 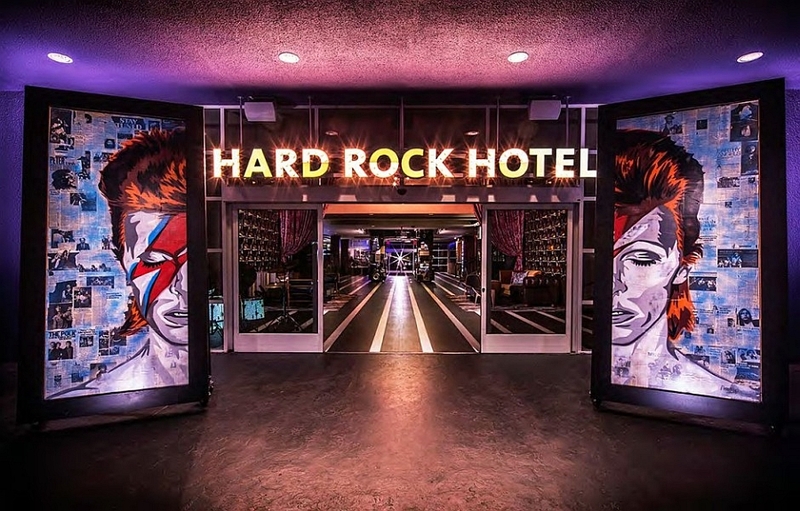 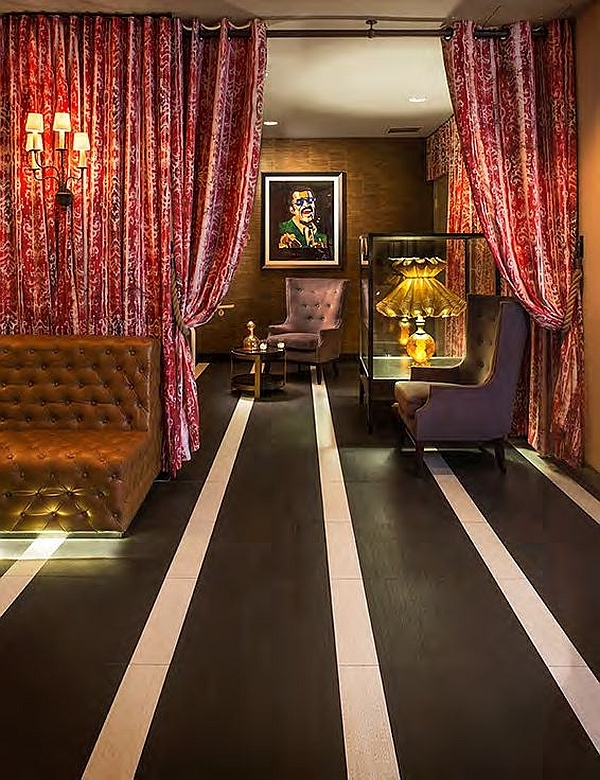 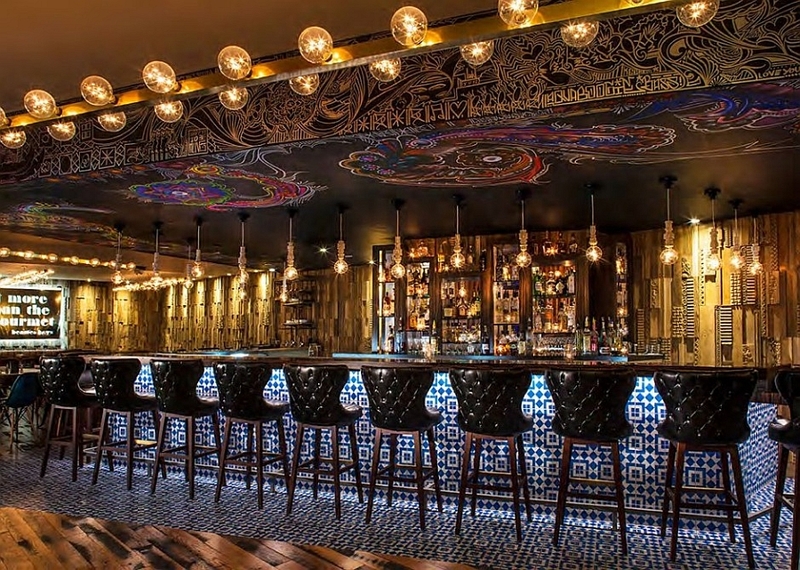 Brought to life with vivacious hues and sparkling decor by Mister Important Design, the interior of the hotel is all about celebrating that rich history of rock music while you are treated like a rock star! 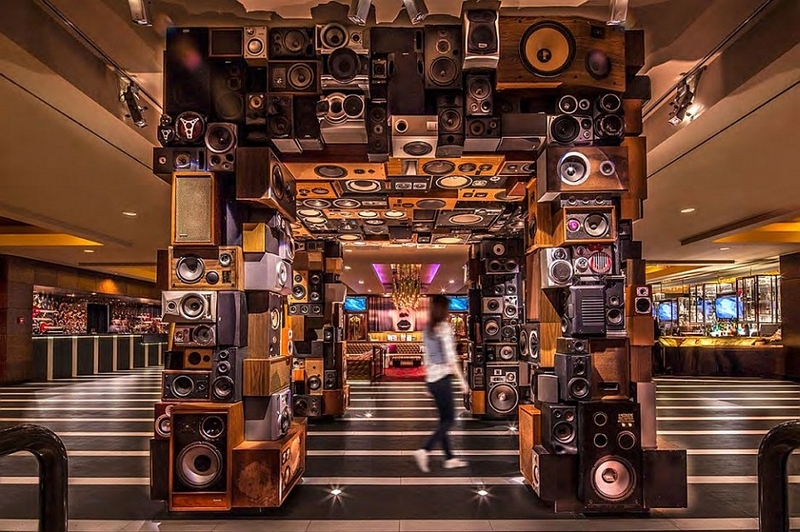 Featuring 163 rooms and suites, along with a Rock Spa that is set to see daylight in a couple of weeks time and a nightclub that will be open in a few months, the hotel intends to surround you with ample musical inspiration! 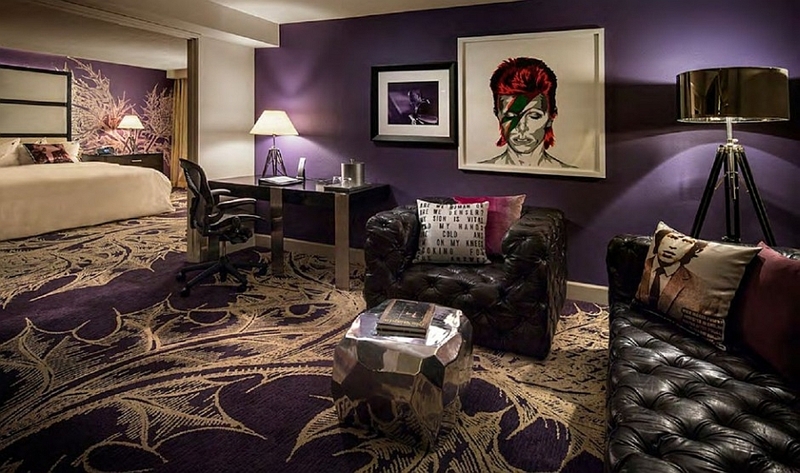 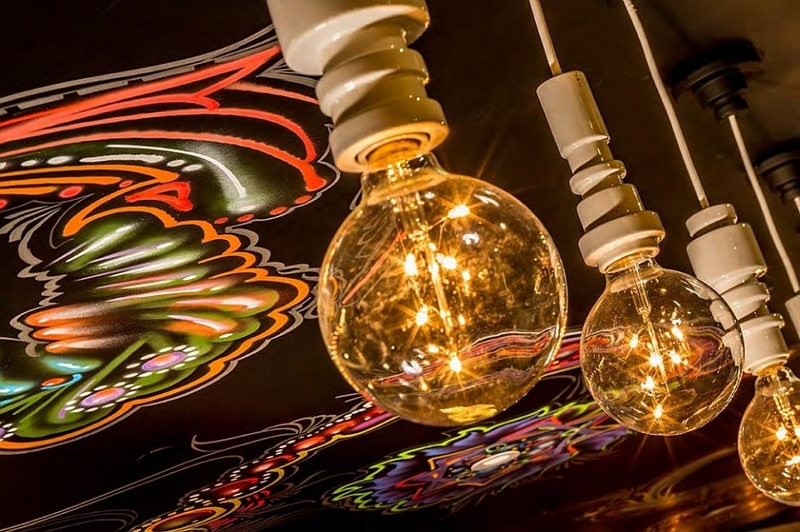 The interior of the hotel is decked in artwork, wall graffiti and fabulous decor additions that pay a tribute to the rock legends of the past. 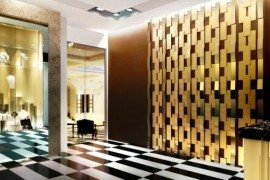 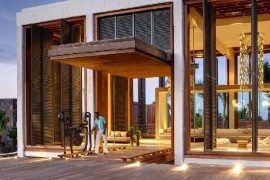 A grand entrance leading to the opulent sunken living room is marked by a large sculptural addition crafted from speakers. 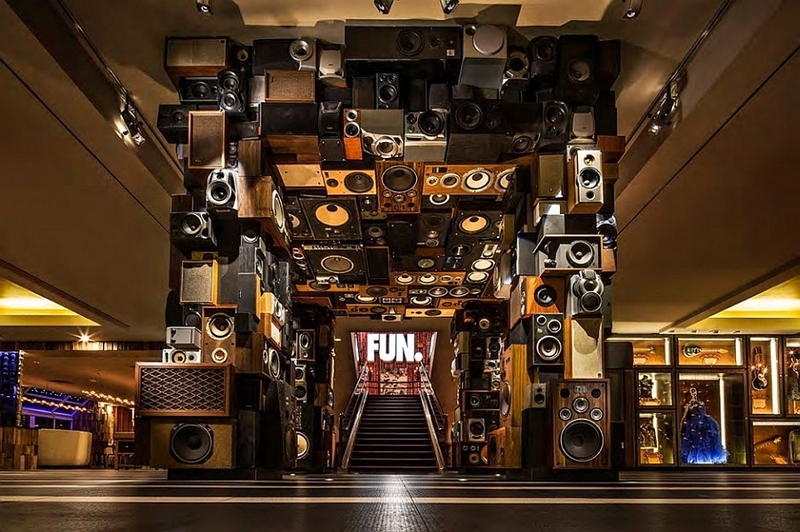 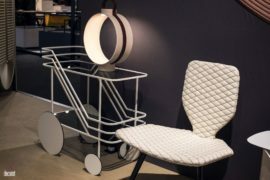 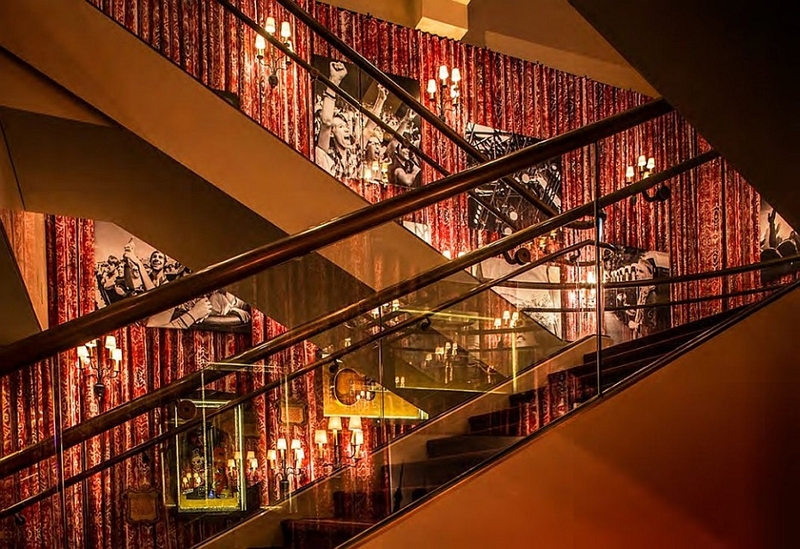 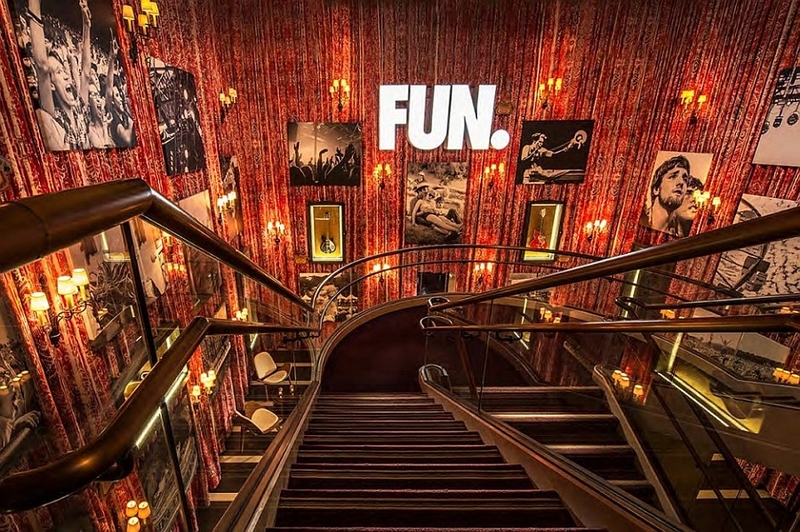 Get past this and you have the staircase display that features some interesting music memorabilia of legends like Elvis, Sonny Bono, Gaga and Keith Richards. 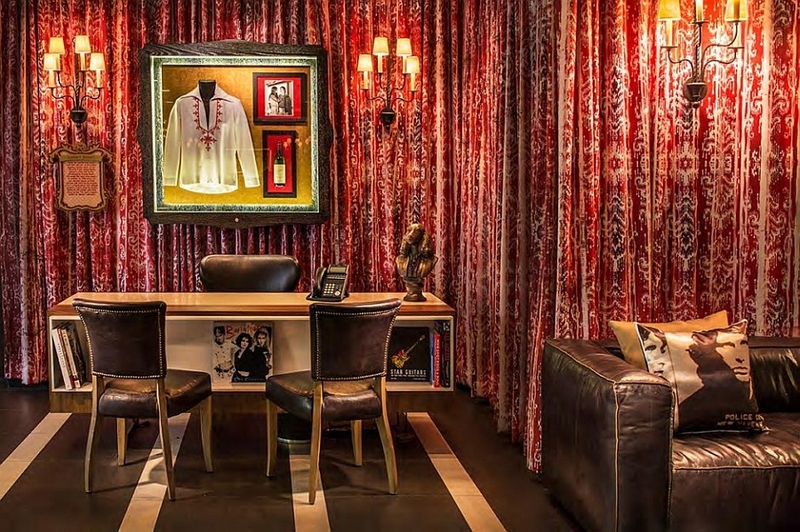 There is even an old Frank Sinatra contract that makes for an interesting read! 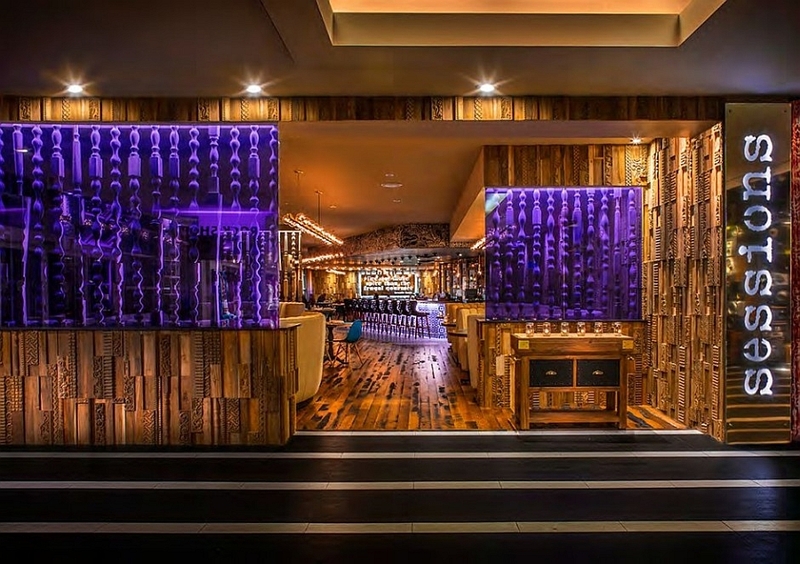 Brilliant purple, sparkling gold and ravishing red seem to be your constant companions throughout the hotel and the immaculate ‘Sessions’ restaurant. 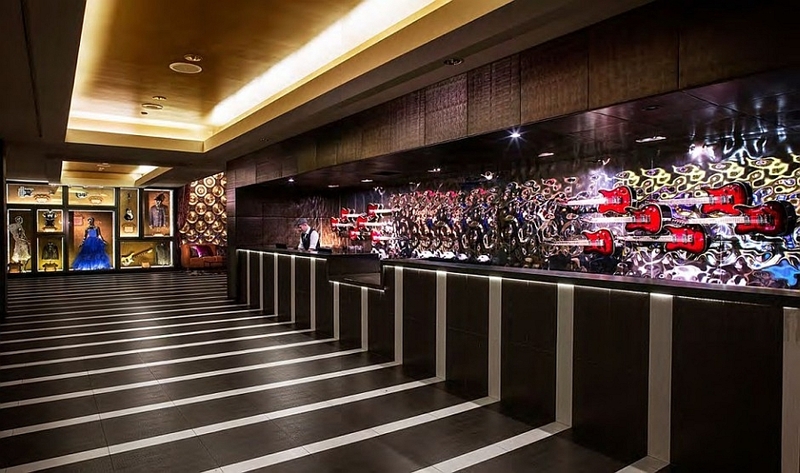 An intricately crafted ceiling with unique designs in the restaurant bar and the artistic backdrop at the dining booths instantly draw your attention. 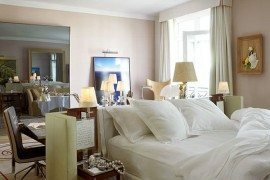 The lighting is kept simple and minimal as the exclusive aura of the hotel transports you into the late ’70s and the early ’80s. 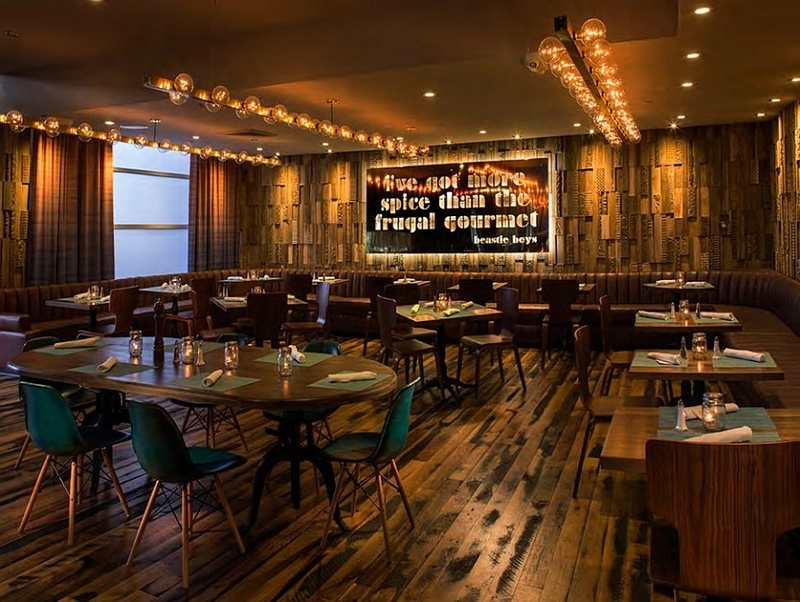 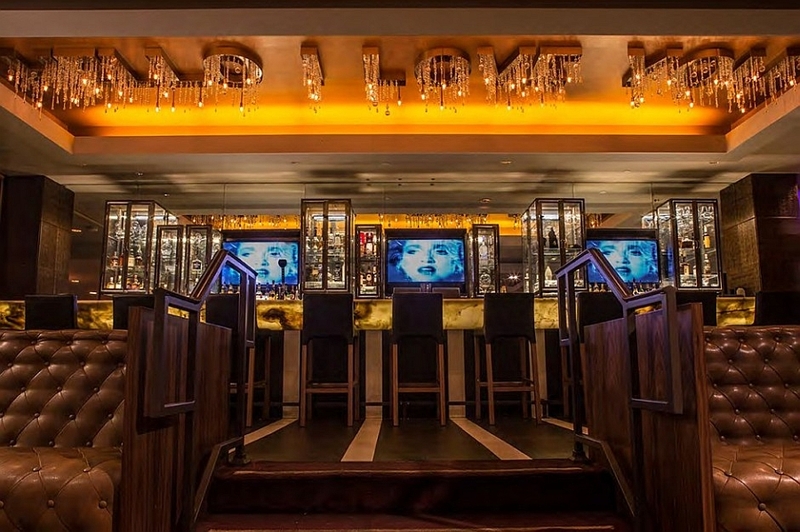 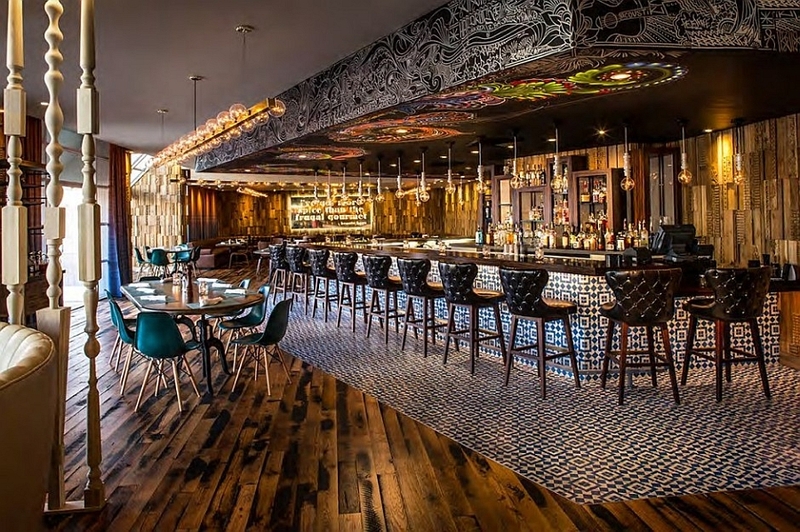 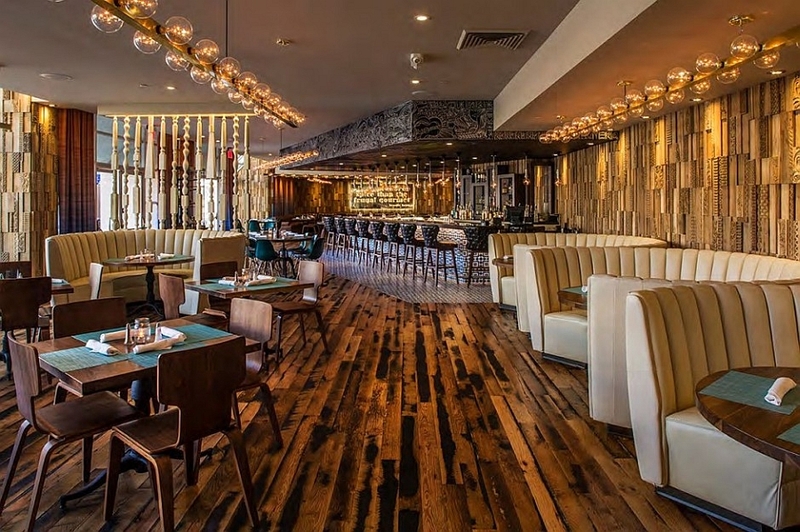 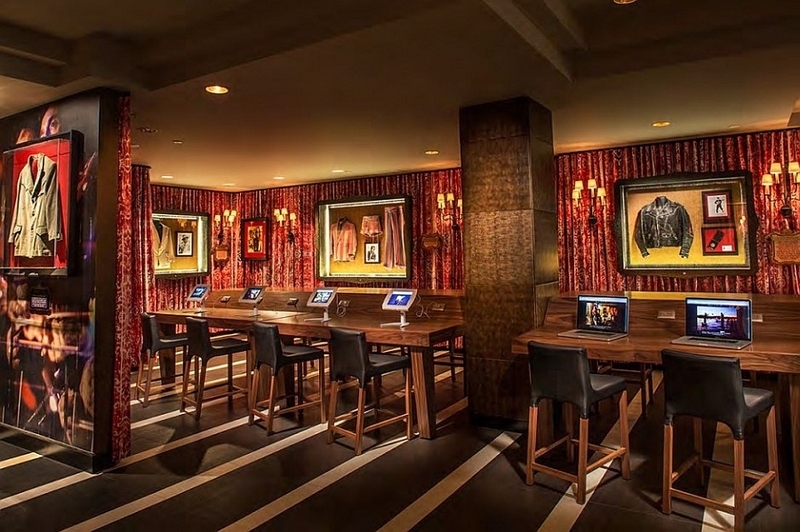 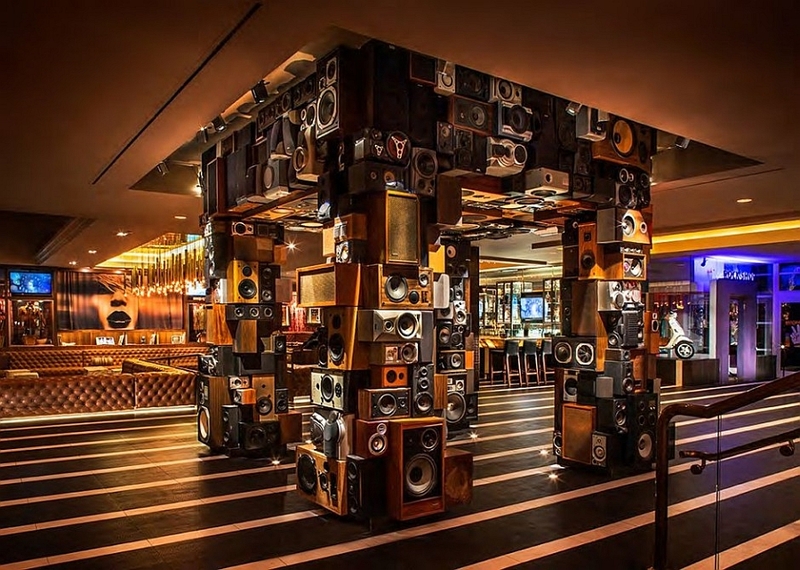 A perfect hangout for a great Saturday night in Palm Springs, this cleverly designed hotel is all about playing to the tune of ‘Hard Rock’ fans. 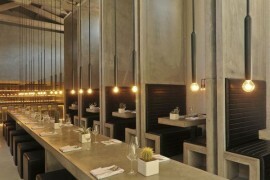 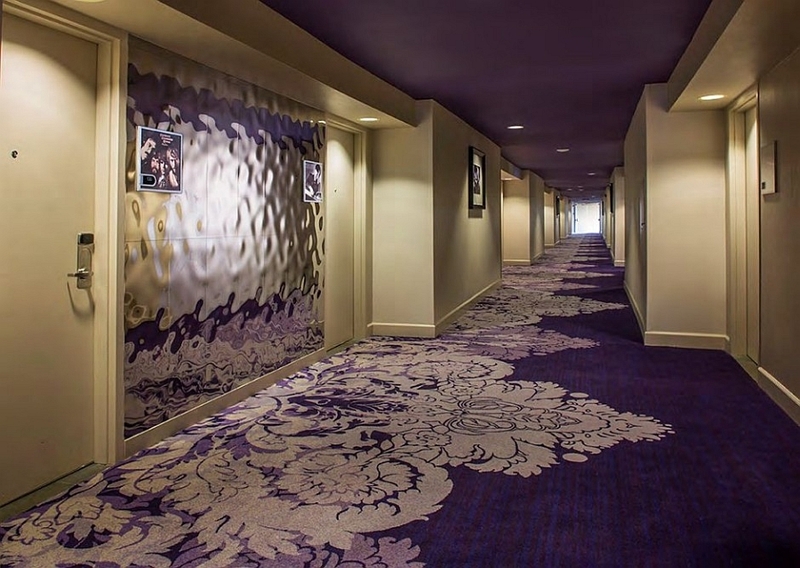 So, next time you are in the city, feel free to walk this way and let us know your take on the hotel. 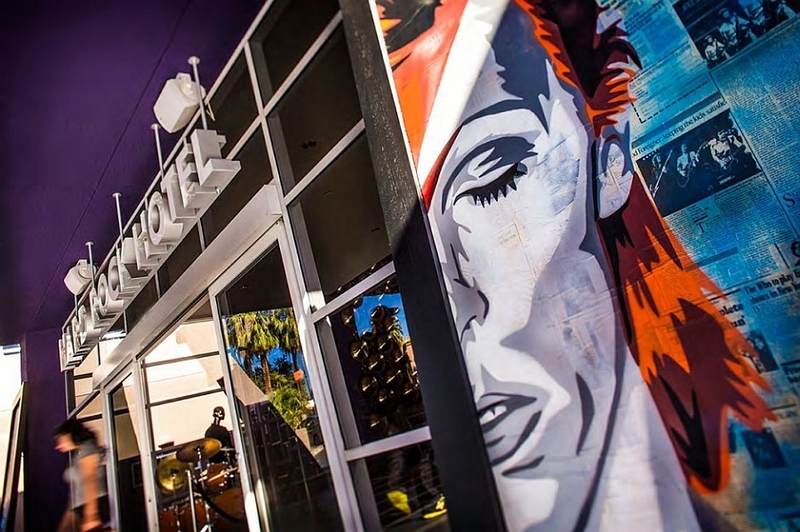 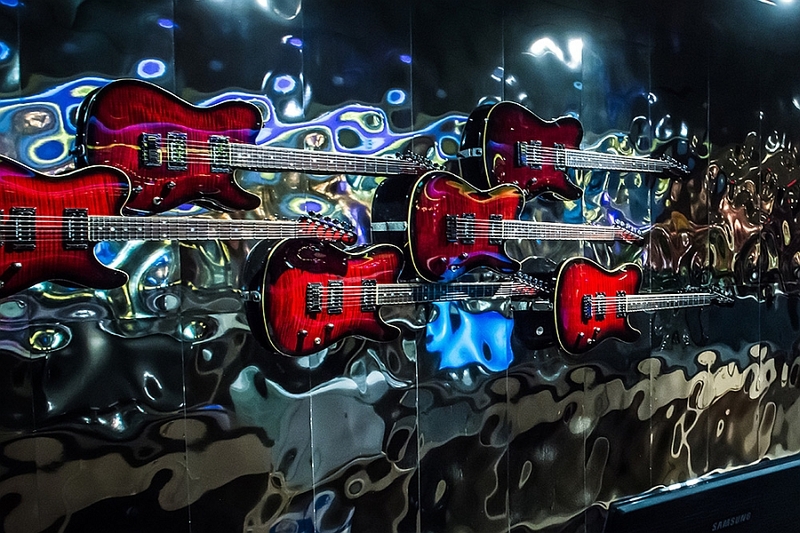 In keeping with the vibe of Palm Springs and mindful of the Coachella music and art festival, we sought to create a Hard Rock Hotel experience that dovetailed with those two dynamics. 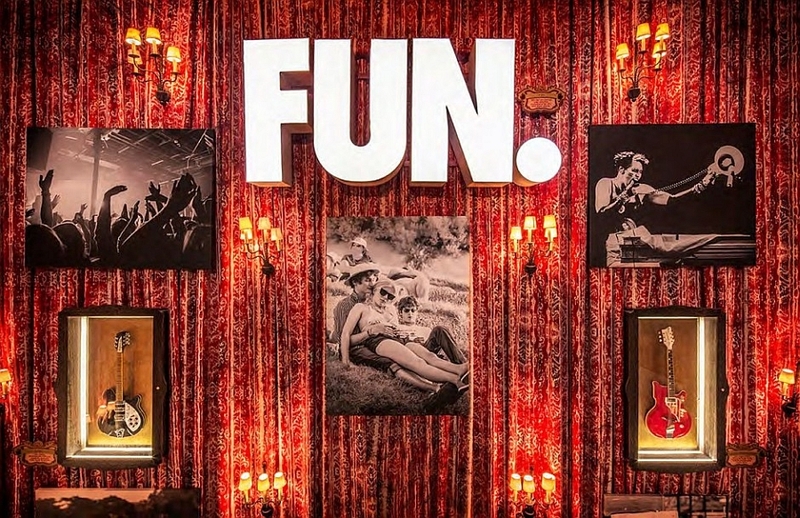 To that end we selected memorabilia from younger artists as well as odd items from more established acts, hence the “Fun” sign from the band Fun.